Medical sales time management is one skill that can make or break your career. You see, it doesn’t matter how skilled you are in other areas of medical sales — if you can’t create the time to perform the most critical task — SELLING — you lose! 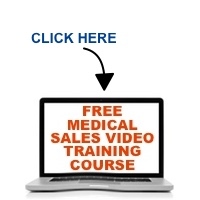 Medical sales is fraught with more challenges to derail your day than most industries. In this Podcast, Mace discusses the common medical sales time management challenges, and what the medical sales professional must focus on to maximize sales and commission income.